Thank you to Boston Voyager Magazine for your article. Want to get to know more about who will be taking care of your IT Infrastructure? Click and view the article below which profiles our President. Over the past few months we have noticed some critical problems with our current support management software. Some responses were not getting to our clients, submitted issues would not reach us for hours, and the system would randomly crash without generating an alert. As you can imagine this was major issue. So, what we decided to do was throw out our current system and start searching for a better solution. We think we finally found one that is great and will allow for a better support experience. Please hang in there if there are any bugs we need to squash as we roll it out. 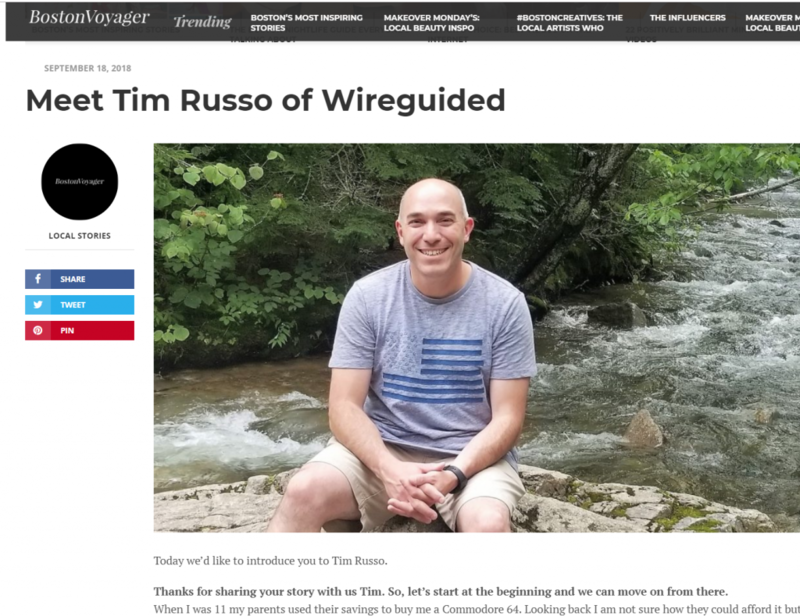 Thank you for your patience and we thank you for partnering with Wireguided. You can now reach us via social media and directly from our web site (in addition to email and phone). We now offer support via Twitter and Facebook and live chat via our web page. CLICK HERE for the full details. Our previous support system had problems where some messages sent to us would be delayed by random amounts of time and our ticket updates would never reach you (or be recorded in the system). That of course was unacceptable and had to be fixed ASAP. The new system should instantly send you a response to let you know we received your request. Ticket updates from you and to you should also take under a minute. Communication is key. Especially when time critical issues are involved. Our new system can now view embedded images so when you send screen captures we can view them instantly. To help avoid confusion on the status of a request we have created a one of a kind visual status indicator which will be included in each response to you. Your ticket has been received by us but has not been assigned to anyone yet. Your ticket has been assigned and is being worked on. We are waiting on you or a 3rd party (e.g. Vendor) for information. Your ticket has been closed / resolved. It’s a FREE Upgrade (with a small catch). Microsoft wants everyone to install Windows 10. To help this along it will be a free upgrade for a year (until of July 2016) for all Windows 7, 8, and 8.1 computers. The upgrade will come via a Windows update. You will see a small white Windows icon in the lower right taskbar (near the clock). Just click on it to register (takes under a minute) for the upgrade (downloaded in the background). You will need 3GB of free space on your system. The Start Menu and Desktop are back. Windows 10 automatically switches from desktop mode to tablet mode depending on if a keyboard is attached to your device. An updated start menu will now be shown instead of the Metro tiles in Windows 8. This is really an improvement that all desktop users were asking for. Current desktop cluttered with icons? 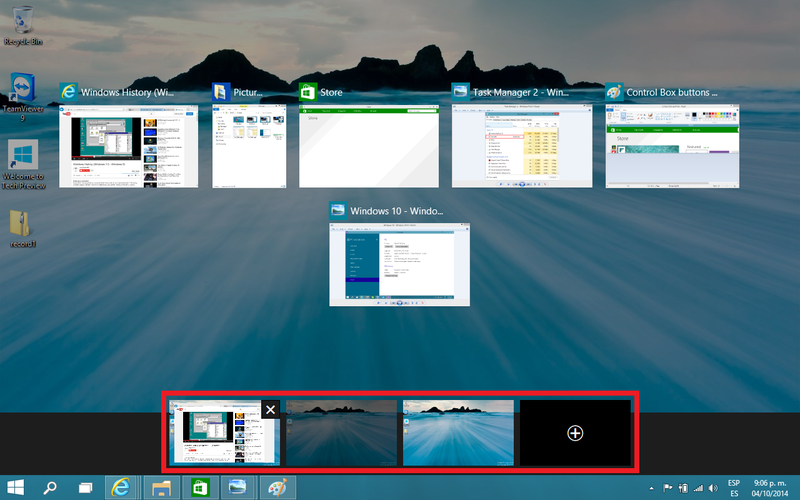 No worries, you can now have multiple desktops (e.g.one for business apps and one home). Microsoft new web browser is called ‘Microsoft Edge’. It has many modern features found in other browsers such as Chrome or Firefox. Internet Explorer will still be around if you need it though (but you might need to dig around to find it). 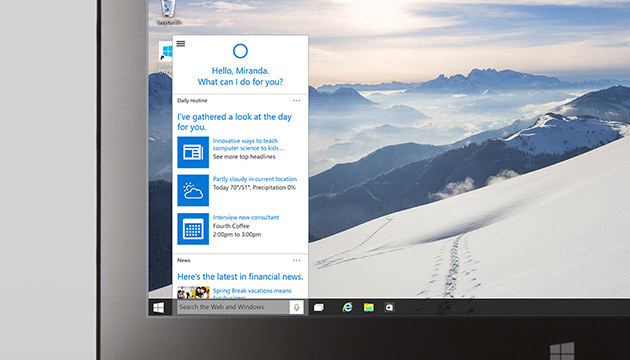 Microsoft’s Cortana integrates right into Windows 10. It (She?) lives on the taskbar and will help with all your search needs. Think Google Now or Siri but integrated and personalized. Go to a restaurant’s web page and Cortana will show the menu. You can even say “Tell me a joke”. This is the last “version” of Windows. Going forward Windows will receive rolling updates as fixes and new features are added. No more service packs. This is basically the same model as Apple. The above items are some of the biggest updates in Windows 10. There are others welcome features such as being able to log in via your face (Biometrics), full integration with OneDrive (cloud storage), Universal Apps, Xbox streaming, and a few others. If you or your business has any questions about Windows 10 or need some assistance with planning and implementing a smooth rollout, please give us a ring. The good thing about technology is that the price of things usually drops over time. With the competition in the cloud space at an all time high our backup provider just dramatically lowered our pricing. So we did what any good IT partner would do and lowered our prices to match. We are very excited that we can now offer an unlimited backup option. For one low rate you can back up as much data as you want. No limits mean no more worries about missing items or overage charges. In 2013 we made a number of changes to improve things. Below are some stats and our most noticeable upgrades. 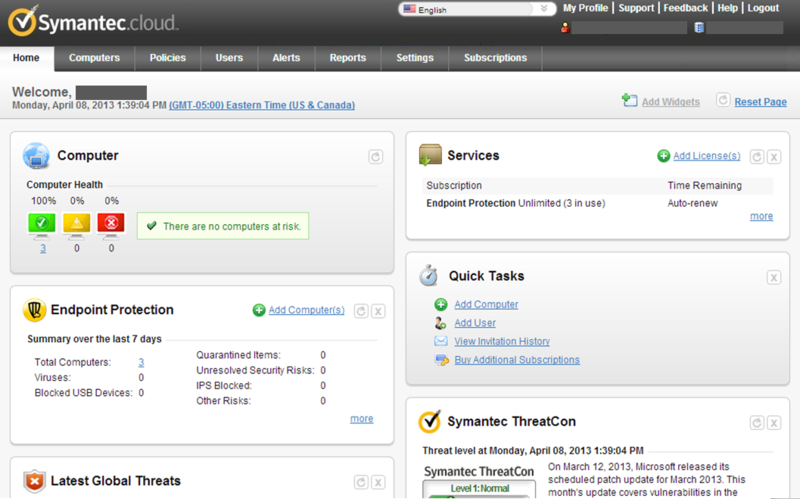 Migrated 92% of our partners to cloud based Antivirus. 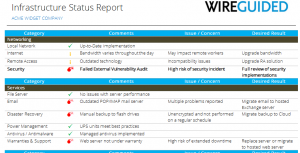 Malware issues dropped 99% for upgraded partners. Simplified our Referral Rewards program. Upgraded our Helpdesk system to improve responsiveness and tracking. 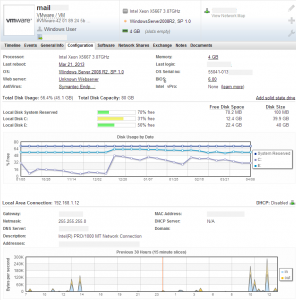 Upgraded our network management tools to improve proactive maintenance. Implemented new mobile device management tools. Modernized our remote management software. Rolled out new software installation tools to lessen downtime during upgrades. Renegotiated Cloud provider agreements to remove yearly contract requirements. Enabled the ability to pay via Credit Card. ► Invoices will now be sent monthly – You spoke, we listened. Invoices for managed services will be switched from quarterly to monthly starting with your next invoice. ► We now accept credit cards – You can now pay for anything via credit card. There is no difference in price and a portion of the fees we pay go to support the Disabled American Veterans. Optional auto-payment is available to make remittance even easier for our managed service clients. ► Online invoices – We recently switched to a much improved accounting system so you may now view the status of all your invoices online. ► New cloud services – We are now able to offer industry leading cloud based anti-virus from Symantec and phone service from Nextiva. ► No more long term contracts for cloud services – We successfully renegotiated new terms with our cloud partners (e.g. online backups). After the end of your current cloud service contract it will automatically be switched to month-to-month. Auto payment by credit card will be required. ► We are in the cloud! – All our internal services are now cloud based to improve our ability to communicate with you no matter what. We no longer fear Nor’easters. 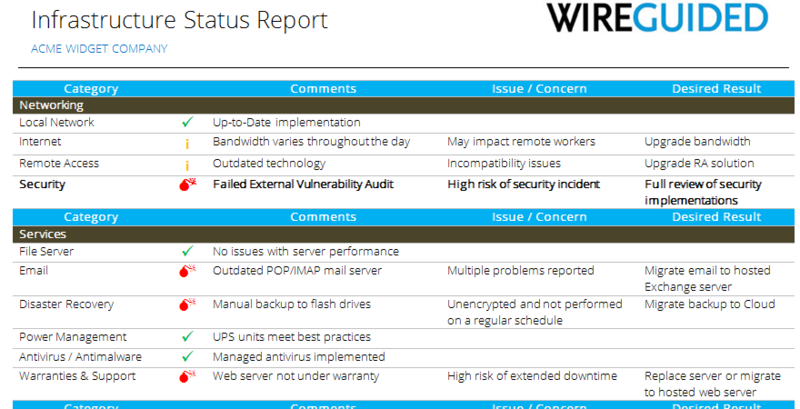 ► Improved executive report – Our newly designed executive report (which will be arriving shortly) now includes updated recommendations based on the latest version of our 150 point best practices infrastructure audit. ► Upgraded Desktop Support – We have migrated to a greatly enhanced remote desktop support system. Improvements include support for Macs, fully encrypted connections, chat function, whiteboard, user notification, faster response times and the ability to access any Internet connected system. We can even turn on computers (if supported). ► Faster Proactive Maintenance– With our improved system tools we are rolling out faster software updates then ever before with less user interruption. In fact, we just upgraded three critical applications for all our clients in just two days and nobody noticed a thing. 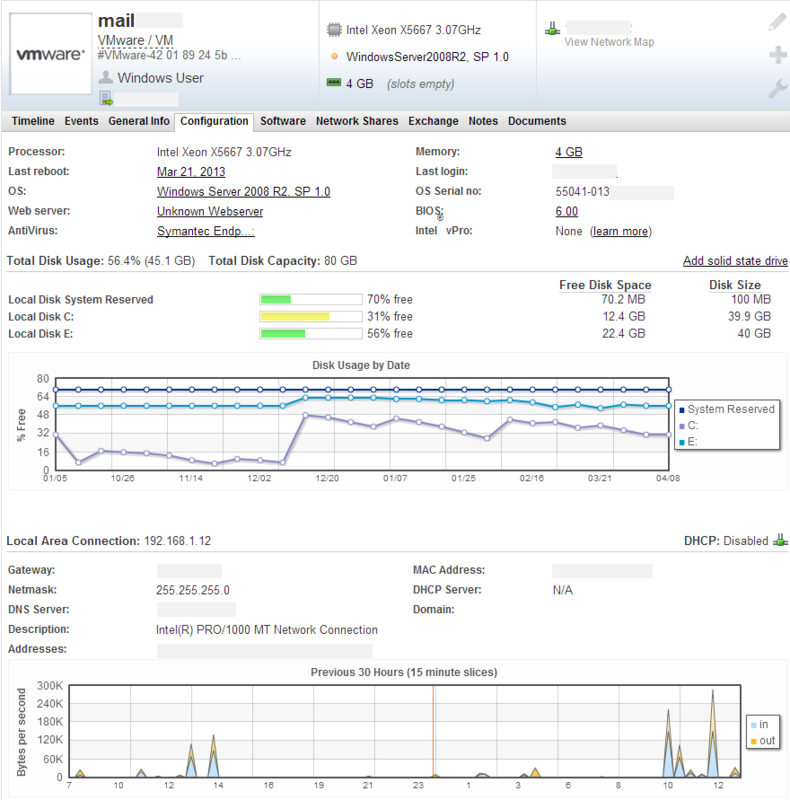 ► Enhanced System Management – With our upgraded software we can better manage your infrastructure. Improvements include faster software updates, better cloud service integration and the ability to monitor the health of systems outside the office (laptops & home based systems). There has been a lot of news lately about business networks (and home PCs) being infected by viruses, malware, botnets, and other bad things. The most common method of infection is by exploiting bugs in common software applications such as Adobe Reader and Java. To avoid being a the next victim make sure your are running the latest versions of the software. The links below will take you where you need to go. The upgrades are fast and straightforward. Note: During the installations you will be prompted to install 3rd party software such as McAfee Anti-virus or Google’s Chrome Browser. Uncheck these options before clicking ‘Next’. With a huge blizzard descending upon the Northeast here are a few tips to prepare your business’s information technology infrastructure. During storms the loss of power is very common. When the power is eventually restored a power surge can occur damaging electronics. Make sure your employees turn off their desktops and unplug them from the wall if possible. Double check that your network gear is protected by a UPS or power strip. While you are at it, run a battery test on your UPS devices (there should be a button on them for this). Make sure your last few backups were successful. If you use media for your backup solution (e.g., tapes or other removable media) make sure they are in a safe place just in case disaster strikes (e.g., flooding or other physical disaster). If you have a fireproof safe that should do it. 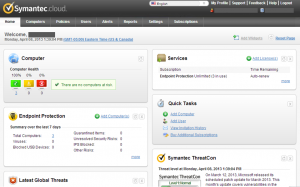 If you use a cloud provider make sure the last backup report was successful. Just a note, you really should be incorporating a cloud solution in your disaster recovery planning. Pricing are reasonable and not having to worry about getting your company up and running after a major event is worth every penny. Wireguided offers a business level cloud backup solution which will allow you to sleep well at night. Make sure you have an up-to-date list of employee home and mobile numbers if their expertise would be needed in the event of a disaster. Mobile numbers are important because even in the event of power failure (aka no Internet) you can reach the people you need to. With large storms it is hard to predict when business will resume. Each day your office is closed is productivity (and money) lost. Make sure you have a remote access solution for your business to allow at least some level of work to continue even if all your employees are stuck at home, or on a beach in a much warmer climate. If you need any assistance Wireguided is always here to help. Our emergency contact number is 781-679-0660, ext 1. On May 23rd we sent out a one question survey asking folks what type of mobile phone they use. The intention of the survey was to see what business men and woman were using for their mobile device. Thank you to everyone who responded. There were some interesting results which we will get to in a second. Ninety-two people responded to the survey which provided a pretty good sampling size. What was the most surprising result of all? 13% of respondents do not have smartphones. In this age of constant communication it is significant to know that a portion of the workforce is possibly ‘out of the loop’ when out of the office, at least as far as electronic communications are concerned (email, document access, etc.). The other tidbit was that only two people reported having separate phones for business and personal use. For a business owner this means that control of your internal digital communications is not stored on devices you control. What happens to your confidential business communications (e.g. email) when a personal mobile device goes missing? For an employee, you may not realize that when connecting your phone to your company’s email system you may also be granting your employer permission to remotely lock and/or wipe clean your phone (bye bye personal photos). These are issues for a future article. Not surprising, the top two phone types were the Apple iPhone (45) and Google Android base phones (27). This backs up up recent market share studies which show Apple controlling between 36-59% of the US mobile phone market (depending on which statistic you read). Android devices also control a large chunk of the mobile arena. Unlike the Apple iPhone various manufactures release Android based devices with different feature sets. Some better than the current iPhone (4S) and some worse. While the sampling size was small is is interesting to see how employee owned devices are now the new normal for businesses. While the current market share numbers were really no surprise it will be interested to see once the next generation of the Apple phone (iPhone 5, Sept/Oct 2012 release) and Android top level phones( Samsung Galaxy III / HTC One X) go head to head if these numbers will change.